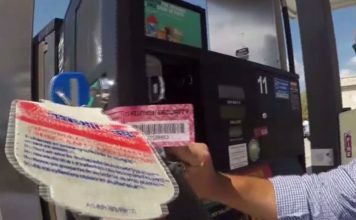 At the start of the new year Charlotte County vowed to crack down on skimming devices that ultimately took your money and put it in the pocket of crooks. Code enforcement were out in the county Thursday to make sure gas stations follow the rules to protect you at the pump. County code officers say they won’t allow gas skimming any more. They’re going to gas stations in the area to make sure pumps are up to code, checking for locks and proper encryption software. Andre Deschenes with Community Development Code Compliance said he is conducting the checks because he doesn’t want people to be ripped off by criminals. “The pumps, they have to have either a key that is unique or exclusive to this station or they can alternatively use encryption software which if someone was to tamper with it it would automatically shut the pumps down,” Deschenes said. Many drivers say even though they’re happy about the county ordinance. Skimming has made them take more precautions at the pump. The county says they plan to go to all gas stations in the area except for Punta Gorda, which recently passed its own ordinance. Run your transaction (even with a debit card) as a credit card purchase. If thieves crack your debit card, they’ll be able to access your bank account. And although you can minimize your losses if you call your bank quickly, your liability for losses on credit card purchases is much more limited. Choose a fuel dispenser that’s close to the store — ideally, one with security cameras installed nearby. 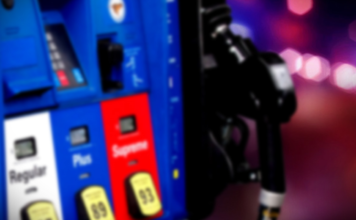 Criminals would be less likely to tamper with pumps that are visible to workers inside the store. Opt for well-maintained service stations. Proprietors who keep their premises shipshape are also more likely to be inspecting and taking care of their pumps, says Jeff Lenard, vice president for strategic industry initiatives at the National Association of Convenience Stores. These stores account for 80% of all U.S. gas sales. Some stations have adopted visible anti-tampering measures, such as placing tamper-resistant tape over the front panel edges. That’s a reassuring sign of vigilance. Take a minute or two to examine the dispenser before inserting your card. Does it look like the front panel has been pried apart? Is the keypad raised, rather than flush against the console? Do its buttons look different from the ones at neighboring pumps? Does the card reader look different? Is the reader loose in its socket? If the answer to any of these questions is yes, the pump may have been tampered with; don’t use it. Pay with cash. No card use means no risk of skimming.